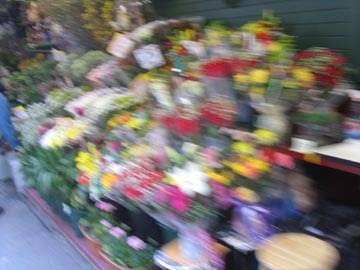 Over the next few days, thousands of New York men will be faced with a thorny choice: florist or bodega. As they head home to their honey on Valentine’s Day, they could find a nice flower shop and pick up a dozen long-stemmed roses for about $50. But many of those men will be tempted to just drop by the corner grocery and buy a bouquet of the red blossoms for a third or less of that price. After all, a rose is a rose is a rose, right? And it’s not like the love of their life will be able to tell the difference. Right? An informal survey by the Daily News found that with a glance and sniff, four out of six women can distinguish the cher from the cheap.